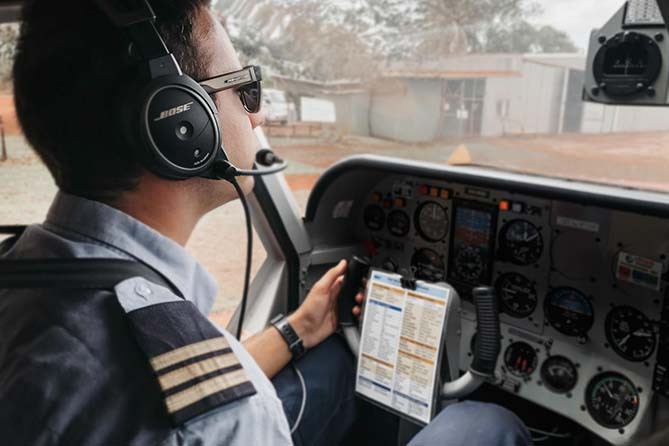 Mission Aviation Fellowship’s work in Arnhem Land provides Aboriginal homelands and communities with access to healthcare, education and development opportunities. Gangan is a remote inland river community in East Arnhem Land. Despite being one of the larger homelands, it still takes 7 hours by road to reach the town facilities at Nhulunbuy. The drive covers approximately 210 kilometres of dusty dirt-tracks filled with pot-holes, which are often impassable during the wet monsoons. However, flying to Gangan would take just 40 minutes. 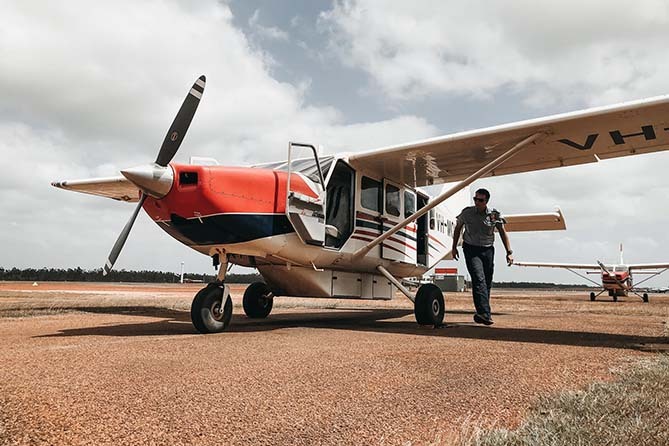 On the 2nd of October, Andrew MacDonald was flying two electricians to the community and back from MAF’s main base at Gove. It was scheduled that he would wait for them to finish before flying them back. The aircraft took off with no delay after the safety briefs and checks were complete. The almost overcast day limited Andrew to cruise at 2000 feet, much lower than his planned 6500 feet. During his climb out, he was informed over the radio that this his schedule had changed. A nurse stationed at Gangan had called MAF. She requested an urgent medevac for a two-year old who had suffered serious burns; the nurses in the community had performed first-aid and now the boy had to be taken to hospital immediately. When Andrew came to know of the situation, he explained to the electricians that another MAF aircraft would now take them back as he had to do a medevac flight immediately; to which they agreed. Shortly after the aircraft landed at the community, a 4WD pulled up by the side of the runway. A couple jumped out of the car – one carried a bag, while the other carried the injured child. Red dust covered their sandals as they hurried towards the aircraft. The boy’s hands and legs were wrapped in absorbent paper and secured with a few layers of cling wrap. The boy was relatively calm, almost as if he was on painkillers. Once in the aircraft, the mother buckled the child onto her lap and they were ready to go. The low ceiling of clouds had now moved away, and Andrew was able to fly at a higher altitude on his way back; reducing the effects of low-level turbulence. On arrival, the child and his escorts were taken to the Gove Hospital. To Andrew, this was an ordinary day of flying that had become an extraordinary opportunity to serve. The Arnhem Land programme has conducted 839 medical flights in 2017 alone, with a 9 of them being emergency medevac flights such as this.